Hey, everyone, the Old Miner's Chili cook of is today. 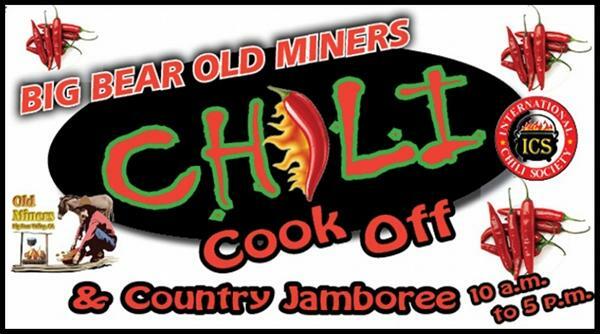 Professionals from all over attend and compete in this International Chili Society event! Make sure you come with an empty stomach and ready to taste lots of varied recipes of great chili! The event is being held this year at the Big Bear Convention Center, there's also carnival rides and vendors selling all kinds of artistic things for souvenirs. Games and rides are from 10 am to 10 pm today. 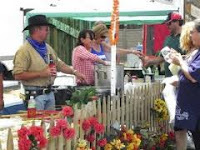 There is no admission fee to the chili cook off, guests wishing to taste the chili are charged $3.00 for a "tasting" kit. The recipes for judging will be Red Chili, Chili Verde and Homemade Salsa. If chili isn't your thing or you want to add some other interesting food, Wyatt's Restaurant and bar is the newest addition to the Convention Center. Good Luck to All the Chili Cookers out there, oh ya, good luck to all the tasters too!